Hi! I'm Meg (and Marge to some old friends), a working mom. I love to cook. I love to experiment on dishes. And my family is a willing and happy volunteer as kitchen subjects. Most of the food photos posted here in my page are admittedly not so perfect and worth instagram as they say. Forgive me for that, because when I started blogging, I was using then my old cellphone camera to take photos, which does not yet have an impressive resolutions or pixels. So I'm trying to update these old blog photos one by one during free time with a more if not better good shots. I'm still using my mobile phone camera for my food photos,and sometimes with my sissy's Nikon digicam - whichi am still very good at. Well, i'm still learning, my friend. But one thing I can assure you, the recipes are great. Proven and tested at home. This blog started with the name of Busy Kitchenette with http://busykitchenette.blogspot.com address. Then, I changed it's name to Pinoy Kitchenette with http://pinoykitchenette.blogspot.com. And finally, it's now www.pinoykitchenette.com. Pinoy Kitchenette talks mostly about Filipino dishes I cook at home and also of the food I've tried and love at some places. So if you're non-filipino, you might find some of the dishes not so appealing, some exotic... but once you've tried it and you liked it please tell me so..I'd greatly appreciate that. You are most welcome to leave your comments or messages. I just recently discovered your wonderful Food Blog, great Pinoy food recipes, nice photos, most of my favorite Pinoy food are here. 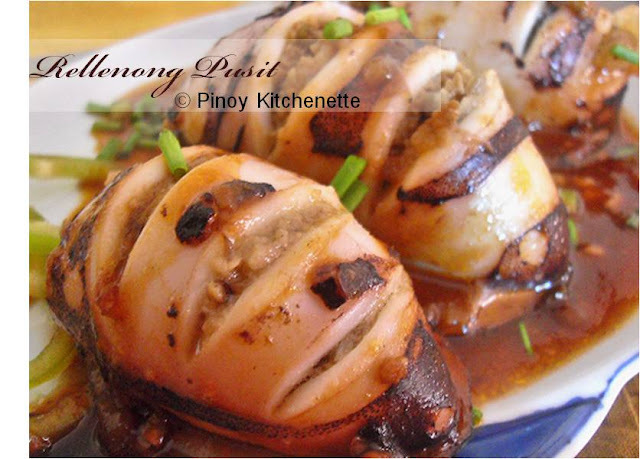 I have taken the liberty of adding Pinoy Kitchenette on Overseas Pinoy Cooking Blog Roll. And thanks too for adding Pinoy Kitchenette to your blogroll. Happy food blogging! More power and cheeres to Pinoy cooking!!! Incredible index of pinoy recipes! looking forward to trying some! More power! Thank you Chef Gusto! Glad you found my food site! Hi! I want to invite you to be part of Project:Adobo. I think you would be a great person to feature on the site. Please email me at your earliest convenience: psstprojectadobo@gmail.com. Thanks and hope to hear from you soon! Magandang araw po. Nais sana naming isali ang iyong blog na pinoykitchenette.blogspot.com sa Listahan ng mga Nangungunang Food Blog sa mytaste.ph/ . Ang iyong blog ay sadyang kahanga-hanga at nararapat lamang na makasama sa TOP FOOD BLOG LIST! Best recipes!! Ang Mytaste ay ang pangalawa sa pinakamalaki sa buong mundo pagdating sa paghahanap ng recipe. Ito ay isang search engine ng mga recipe na galling sa iba’t ibang Recipe blog . Sa wakas ang Pilipinas ay mayroon ng myTaste. Ito ay isang paraan na maaari mong gawin upang gawing mas nakikita ang iyong blog at malantad sa maraming mga tao sa Pilipinas , sa mga bansa na English ang wika tulad ng Estados Unidos , UK , India , Australia , at New Zealand at sa buong mundo ; ito ay maaaring makatulong sa iyong pahina upang makakuha ng mas marami pang mga bisita at dagdagan ang trapiko . ilantad ang iyong BLOG ! ! !